Joseph Arthur: Sat., Sept. 18, 9 p.m., $15. Musica. Death Angel: Mon., Feb. 7, 6:30 p.m., $14 ADV/$16 DOS. Peabody's. Dignan/Farewll Flight/Bassell/Call Me Constant/Jacob Vangas' Band: Thu., Sept. 16, 7 p.m., $9. Musica. 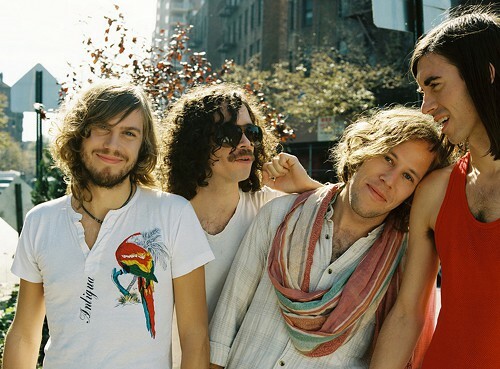 Free Energy/Foxy Shazam: Sun., Nov. 21, 9 p.m., $8. Grog Shop. Greg Laswell/the Rescures: Thu., Oct. 28, 9 p.m., $12.50 ADV/four-pack of general admission tickets $38 (LiveNation.com). House of Blues. Aaron Lewis (of Staind, solo acoustic): Mon., Oct. 18, 7 p.m., $32.50 (LiveNation.com). Mon., Oct. 18, 7 p.m., $32.50 (LiveNation.com). House of Blues. A Place to Bury Strangers: Mon., Sept. 27, 9 p.m., $10 ADV/$12 DOS. Grog Shop. Fri., Sept. 24. Thirteenth Floor. Punchline/Spontaneo: Sun., Dec. 19, 6:30 p.m., $8 ADV/$10 DOS. Peabody's. Stevie Stone: Thu., Sept. 30, 7 p.m., $10 ADV/$12 DOS. Peabody's. Snipez/THC: Fri., Oct. 29, 8 p.m., $8. Rockstar Cleveland. Suicidal Tendencies/Ringworm: Sun., Oct. 31, 7 p.m., $20 ADV/$25 DOS. Peabody's. War of Ages/the Color Morale/the gret Commission/the Contortionist: Sun., Oct. 10, 6 p.m., $10 ADV/$12 DOS. Peabody's. Social Distortion/Lucero/Frank Turner: Sun., Oct. 24, 7 p.m. House of Blues.